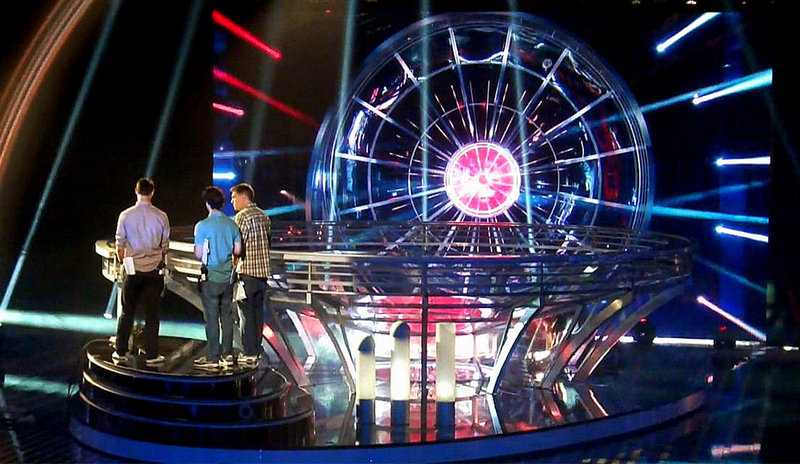 This second series came back with the largest ever TV win of £1.5million. Red or Black? returns for another action packed series on ITV 1 HD. Presented by Ant & Dec, contestants watch a series of stunts, sporting challenges or performances all hoping to strike it rich with the £500,000 final prize. Contestants use their judgement to predict the outcome or have their powers of observation tested. Either way, the contestants must strike their buzzer and pick either red or black. Successful choices advance contestants to the new final round, “The Vortex”. This enormous Perspex Vortex was illuminated with Anna Valley’s creative LED products. Two spectacular sets on the George Lucas Stage at Elstree hosted the series, culminating in the enormous Spiral end game pushed into position stage by 15 stage hands.